Less than 1% of business schools in the world hold “triple accreditation” – Strathclyde is one of them. 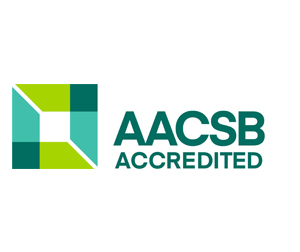 Currently, only a handful of business schools out of around 3500 worldwide have been fully accredited. These accreditations are rigorous processes that involve assessment of numerous aspects of the school and its programmes. Typically, this involves the business school submitting an in-depth self-analysis report for scrutiny by these bodies, followed by a visiting panel and the consequent interviewing of current students, staff, alumni, corporate clients and employers. These bodies have no obligation to make an award – indeed, many business schools are unsuccessful in their application. All the more reason for us to promote this achievement.